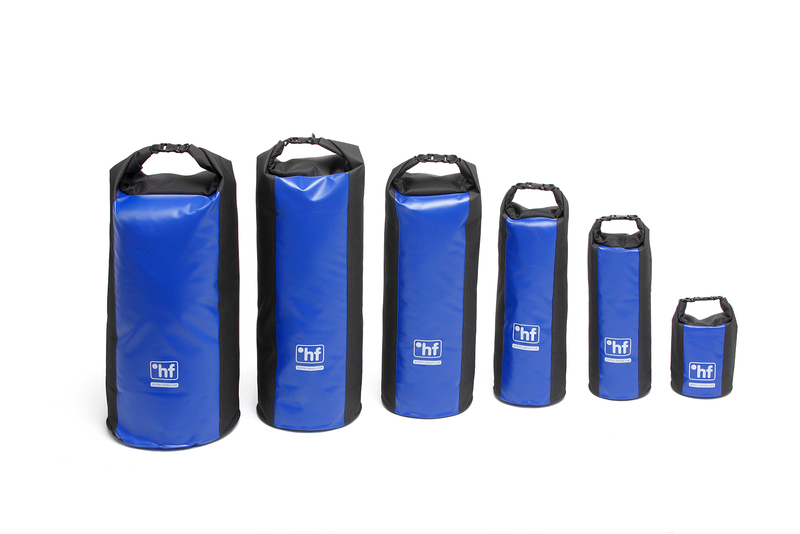 The material of the °hf Master Pack series is heavier and more robust than the fabric used for the 350 or the transparent series. When you are looking for a tough dry bag or if there are heavy loads to carry the Master Packs are the first choice. All °hf Master-Packs are made in Germany.